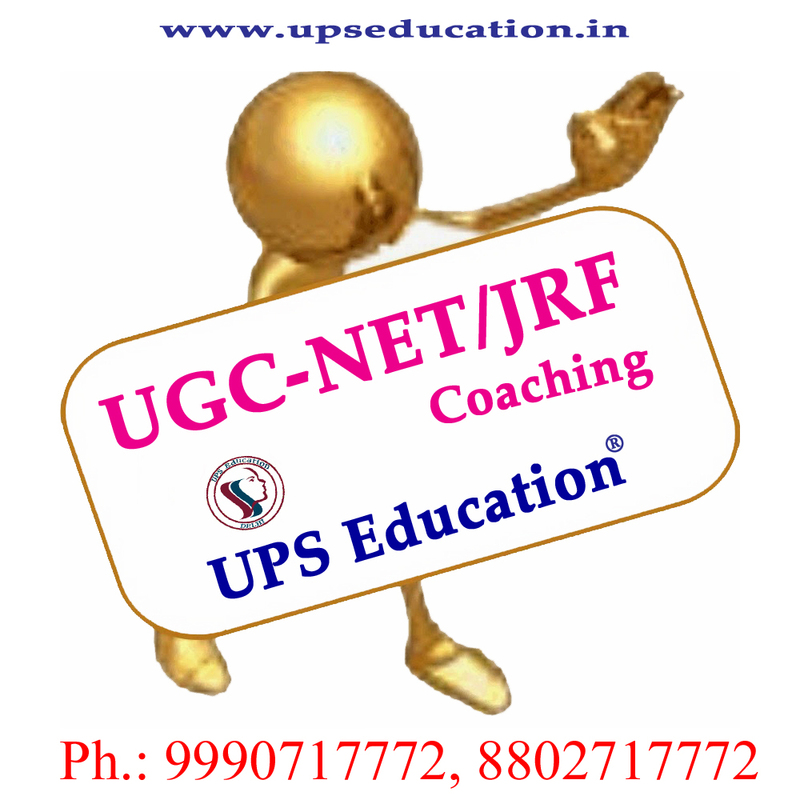 UPS Education provide Distance learning/corresponding course for Psychology Entrance Examinations like: MA/MSc Psychology Entrance, M.Phil Clinical Psychology Entrance and UGC NET JRF Psychology; All the material included in our Distance Learning/ correspondence course written by best team of our faculties (including Gold Medalist faculty), we received very positive and motivational results and feedback form our Distance learner. 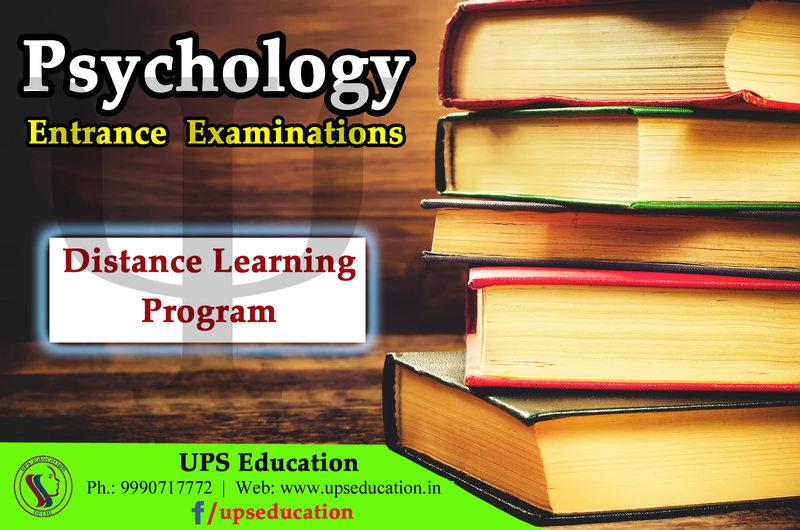 If you want to prepare for Psychology Entrance Examination than start you preparation today with our sophisticated Distance Learning/correspondence course. This entry was posted in approaches of psychology, best psychology coaching classes in delhi, Best Psychology Institute, CBSE NET Psychology Coaching, M. Phil Clinical Psychology Coaching, MA Psychology Coaching, NET Psychology Coaching, psychology, psychology book, Psychology Classes, psychology coaching class, psychology coaching in delhi, UGC NET Psychology Coaching, ups education on December 29, 2016 by UPS Education. 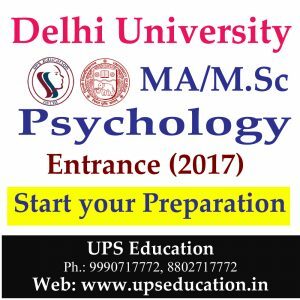 Do you want to take admission in Delhi University under MA/MSc Psychology course? 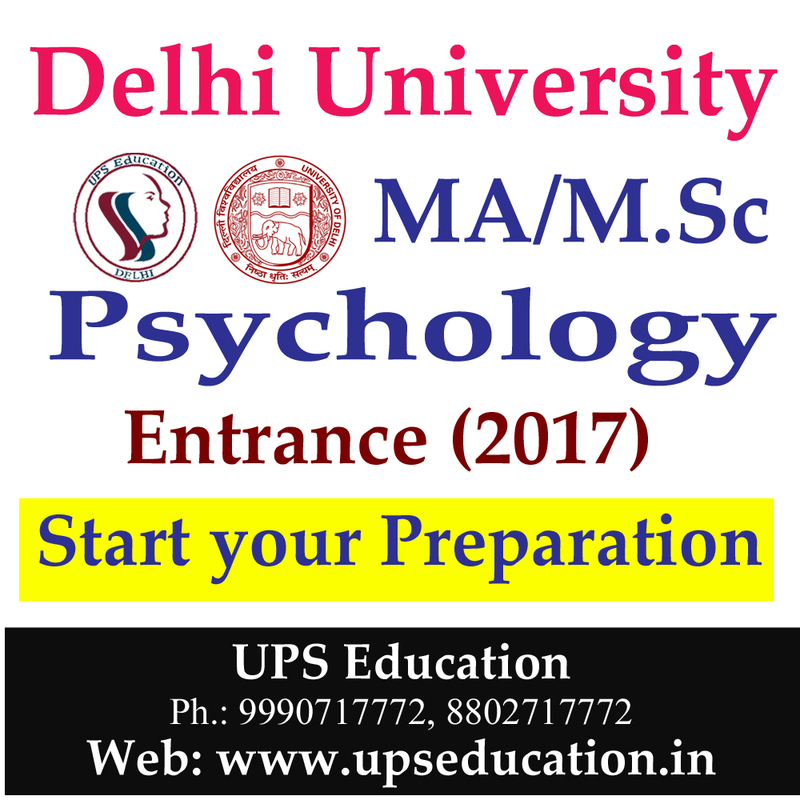 If yes, than start your preparation today, competition is going to be very tough for Admission in India’s Best University, it is right time to start preparation for MA/M.Sc Psychology Entrance, probably Entrance exam of Delhi University will be held in June-July. Join India’s Best Psychology coaching institute and start your preparation today for Psychology entrance. This entry was posted in best psychology coaching classes in delhi, Best Psychology Institute, MA Psychology Coaching, psychology, Psychology Classes, psychology coaching class, psychology coaching in delhi, ups education on December 26, 2016 by UPS Education. 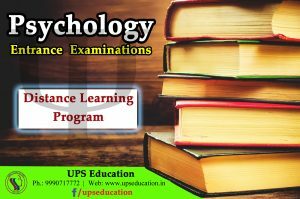 Start you preparation with UPS Education for M.Phil Clinical Psychology Entrance and UGC NET JRF Psychology examination for 2017 Entrance Examination. 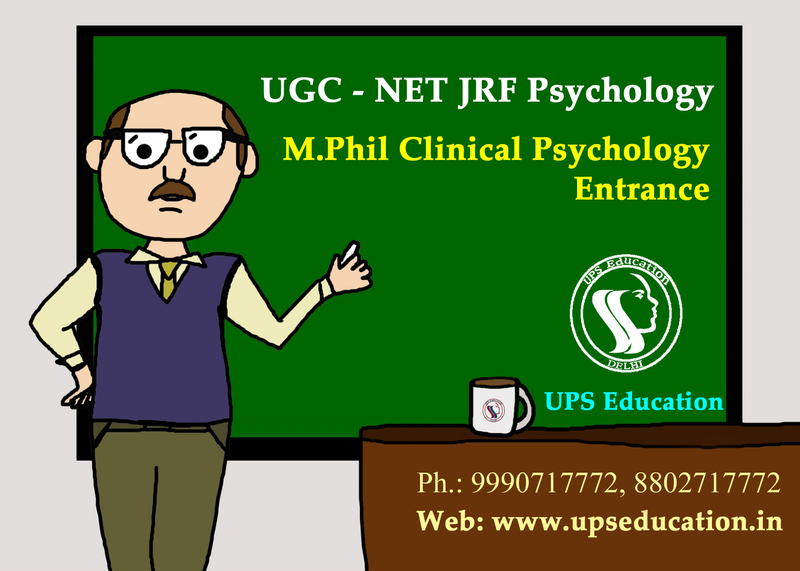 We have started our new batch for M.Phil Clinical Psychology and UGC NET JRF psychology, don’t miss your exam in coming year join our batch today. This entry was posted in approaches of psychology, CBSE NET Psychology Coaching, M. Phil Clinical Psychology Coaching, NET Psychology Coaching, psychology, psychology book, Psychology Classes, psychology coaching class, psychology coaching in delhi, UGC NET Psychology Coaching, ups education on December 20, 2016 by UPS Education. Do you want to crack UGC NET Examination in Psychology? 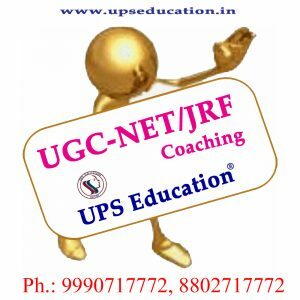 But missed the application form of UGC NET JRF Psychology or you are not prepared for 22-January exam; then start your preparation today for June 2017 session. Join India’s Best Psychology Coaching Institute to and enhance your change to crack UGC NET Psychology Exam. This entry was posted in approaches of psychology, best psychology coaching classes in delhi, Best Psychology Institute, CBSE NET Psychology Coaching, NET Psychology Coaching, psychology, psychology book, Psychology Classes, psychology coaching class, psychology coaching in delhi, UGC NET Psychology Coaching, ups education and tagged Best Institute in Delhi For NET Psychology, net jrf 2017, net psychology 2017 on December 16, 2016 by UPS Education. Admissions open in Distance Learning Coaching for MA/M.Sc Psychology Entrance, M.Phil Clinical Psychology Entrance and UGC-NET JRF Psychology. Admissions open for short period and availability of study material. Enroll your-self in our Distance learning program today. It will defiantly increase your chance to crack Psychology Entrance Exams. Topic wise very sophisticated materials. Notifications about admission forms and vacancies of different universities. This entry was posted in MA Psychology Coaching, NET Psychology Coaching, psychology, psychology book, Psychology Classes, psychology coaching class, psychology coaching in delhi, UGC NET Psychology Coaching, ups education and tagged M.Phil Psychology Study Material, Net Psychology Study Material, study material for ma psychology on December 12, 2016 by UPS Education. 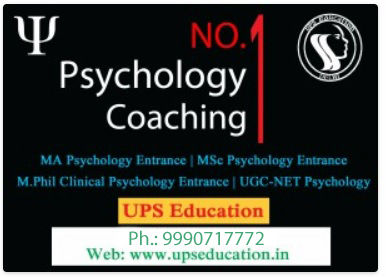 UPS Education is No.1 Psychology Coaching Institute in Delhi, we provide Psychology coaching for Entrance Examination like; MA/M.Sc Psychology Entrance, M.Phil Clinical Psychology Entrance and UGC-NET JRF Psychology. Why UPS Education is No.1 Psychology Coaching Institute; check some point. 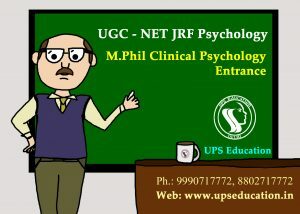 UPS Education also provide Distance learning program for Psychology Students. So if you still searching for Psychology coaching than stop your searching and save your precious time and start your preparation today with UPS Education. This entry was posted in approaches of psychology, best psychology coaching classes in delhi, Best Psychology Institute, CBSE NET Psychology Coaching, M. Phil Clinical Psychology Coaching, MA Psychology Coaching, NET Psychology Coaching, psychology, psychology book, Psychology Classes, psychology coaching class, psychology coaching in delhi, psychology teacher, UGC NET Psychology Coaching, ups education and tagged best coaching center for ma psychology, MA Psychology, MA Psychology Entrance, master's in psychology on December 6, 2016 by UPS Education.